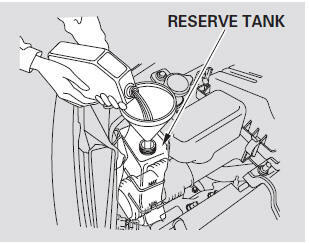 Always use Honda Long-life Antifreeze/ Coolant Type 2. This coolant is pre-mixed with 50 percent antifreeze and 50 percent water. Never add straight antifreeze or plain water. 3. 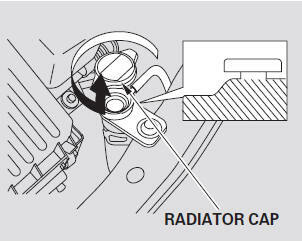 Remove the radiator cap by pushing down and turning counterclockwise. Fill it halfway between the MAX andMIN marks. 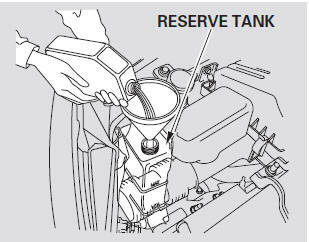 Put the cap back on the reserve tank.